The following table lists the five FTSE 350 shares that have the best returns in March over the last ten years. For example, Aggreko has an average return of 11.7% for the month of March. Each stock has risen in March in at least nine of the past ten years; Intertek is the only FTSE 350 company whose shares have risen in every March for the past ten years. The following table lists the five FTSE 350 shares that have the worst returns in March over the last ten years. For example, Aviva has an average return of -7.7% for the month of March. All five stocks have fallen in March in at least eight of the past yen years. 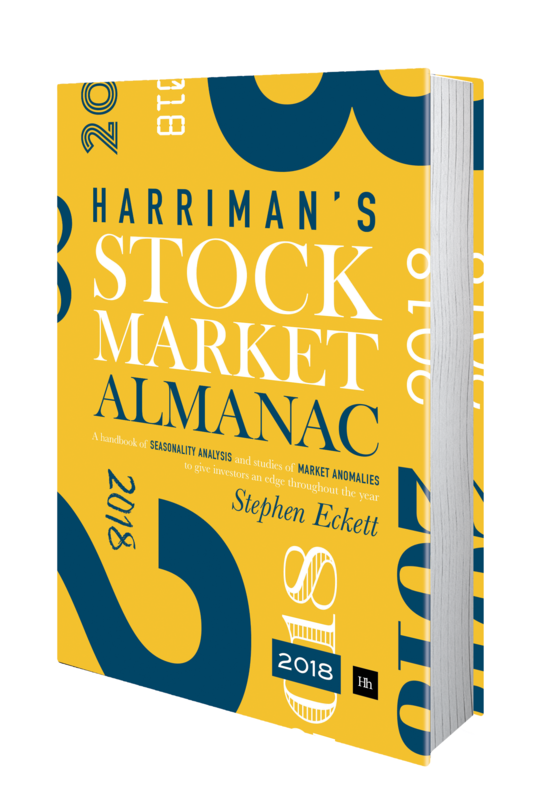 An equally-weighted portfolio of the above strong March stocks would have out-performed every year an equally-weighted portfolio of the above weak March stocks by an average of 13.7 percentage points in March for the past ten years. The 2013 edition of the Almanac looks at the historic monthly performance of the FTSE 350 sectors. The following chart looks at the aerospace and defense sector. The chart plots the average out-performance of the FTSE 350 aerospace and defense sector over the FTSE 100 Index since 1999. 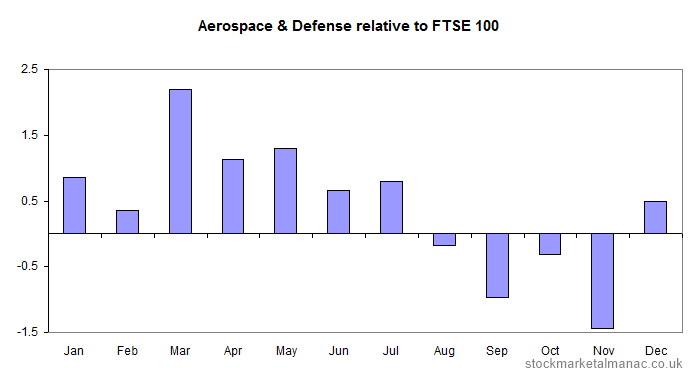 For example, since 1999 on average the aerospace and defense sector has out-performed the FTSE Index by 0.9 percentage points in January. The strongest month for the aerospace and defense sector relative to the whole market has been March, while the weakest has been November. The sector is generally stronger in the first half of the year, after which performance tails off.